I got to work with some adorable and great Haitian school children! 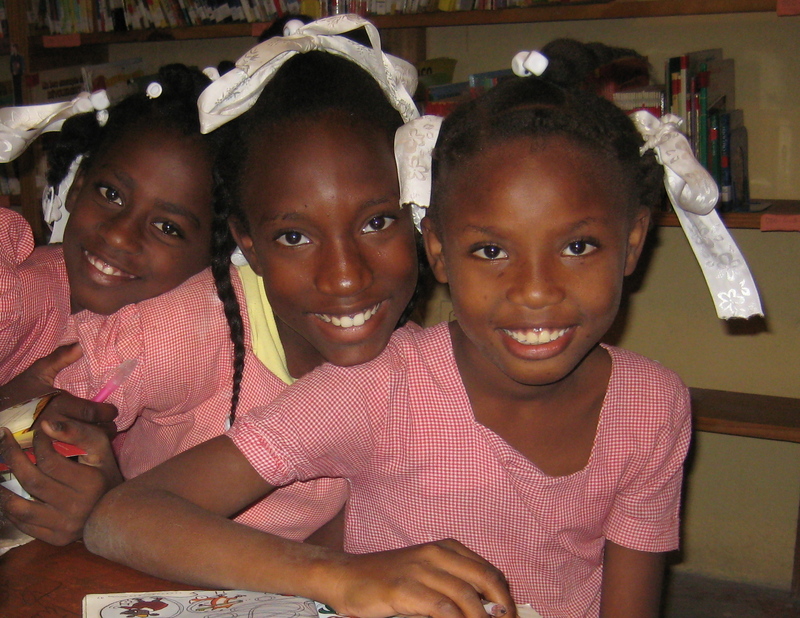 It was a whirlwind week in Port-Au-Prince Haiti. And a good, good week. After a day’s delay getting there (we missed our connection in Miami thanks to 1 de-icer for all of American Airline’s planes in Detroit Sunday morning) we arrived late Monday afternoon. 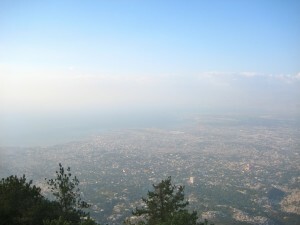 Port-Au-Prince resembles Southern California at first. Nice climate with palm trees around and big mountains nearby. Yet it is very poor, sort of like Mexican border towns, if you have ever been to Nogales or Tijuana. Most people live in tents or concrete block shacks. Trash is all along the roads, which are mostly dirt and heavily rutted. Picking through the trash are goats, cows, roosters, chickens, and dogs. Most people walk everywhere. They do not have cars. Some take Tap-Taps, a pick-up truck that is colorfully decorated and serves as a low-cost taxi. The school I worked in had old school wooden desks. Students wore colorful, remarkably clean uniforms and generally had a pencil and paper with which to work. Classrooms had a chalkboard up front. Bathrooms were outside. There is no air conditioning. Sometimes the fans work. They start serving lunch at 9:30 am because many children only eat at school and so they haven’t eaten since the day before. There is no glass in the windows. Just criss-crossed rebar. Because of the lack of glass in the windows, you can hear everything on the block. Usually this was pleasant as many Haitians love to sing. The sunrises are beautiful. And accompanied by the sound of barking dogs and crowing roosters. Creole is a difficult language, especially pronunciation. I give Haitians who can pick up English a lot of credit! I hope to share more specific stories later. I’m still trying to readjust and reflect while my American concerns are starting to swarm! Welcome back! Can’t wait to hear your stories!! Chris Carter recently posted…AH, THE SNOW DAY…AAAAAAAAAAHHHHHHHH!